Saint Louis University's Department of Intercollegiate Athletics and Athletic Training Program joined forces to celebrate the start of National Athletic Training Month on March 1, 2017 in conjunction with a Billikens Men's Basketball victory vs the LaSalle Explorers at Chaifetz Arena. Dr. Breitbach takes a pic with the SLU students who made this event a success. There were many activities held that night to celebrate the event. 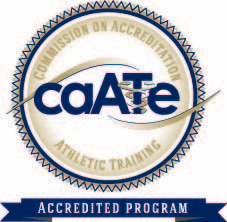 SLU's 13 Certified Athletic Trainers were recognized in a pregame announcement and presentation on the Chaifetz Arena video boards. SLATS booth to promote the AT profession on the arena concourse. 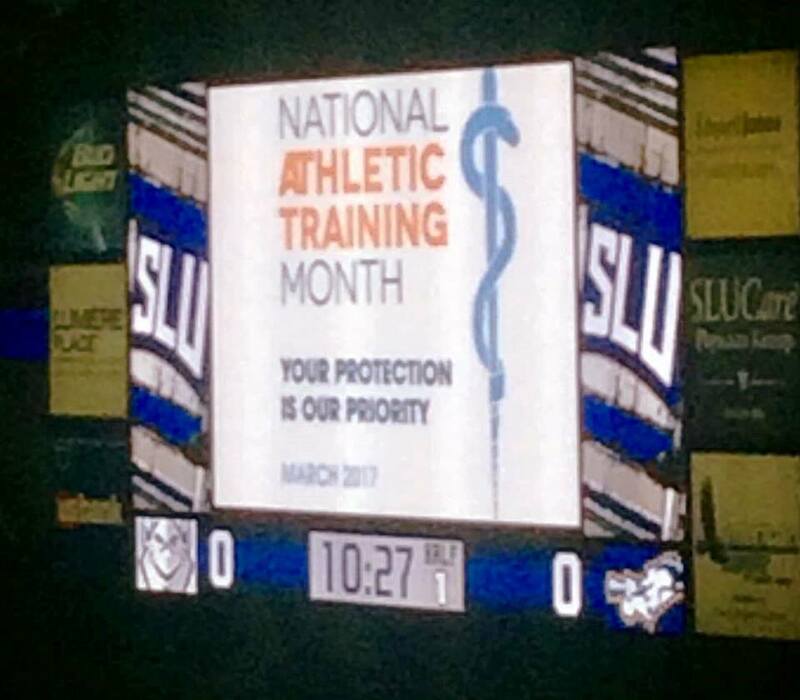 The members of the SLU Athletic Training Society (SLATS) had an infomational booth on the arena concourse to promote #NATM2017. They also had a Photo Booth to commemorate the event. SLU President Dr. Fred Pestello joined in on the fun! Additionally, the students in the Roosevelt High School Athletic Training Club also attended the event. The RHS AT Club is sponsored for the 3rd straight year by the SLU AT Program through a grant from the National Athletic Trainers' Association Ethnic Diversity Advisory Council. RHS AT Club on the Chaifetz Arena court prior to the game. The club utilizes SLU AT students to mentor and teach RHS students about AT and the health professions. SLU staff member Petra Knight ATC takes time to talk to the RHS AT Club. Thank you to all of the students, staff, faculty and administration that made this evening a great success!